A. I have a farming background but I am a Water Engineer to trade. 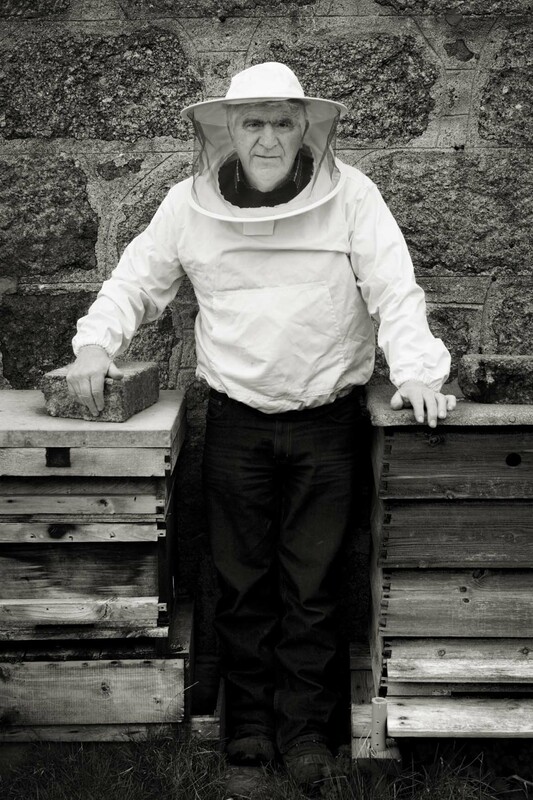 I have been a bee keeper since I was about 17 years old. A. Can you tell us a little about the bee keeping? It’s very complex. The two most important things are to look after the bees and be kind to them. You have to treat bees for the insecticides that they are exposed to from gardens and the veroe mite. The hive is the most industrious factory in the world. I had 200 hundred hives a few years ago, now I only have eight. One season we produced 7,000 lbs of honey which we packed into jars by hand. It’s very labour intensive. Q. How long have you been practicing your skill? A. I started when I was 17 or 18 years old. I have been interested in bees ever since, fascinated by them. Also my wife was interested in them and we worked together. A. I was taught by my grandfather. My grandfather and my great-grandfather, they were all bee keepers. I have never been on a bee keeping course. In those days it was part of your living. Every cottage had hives, it was a way of life. You had to do it for work. A. Not as many as there used to be. I know of a chap in Crathie and one in Banchory. A. Very, very important. Bees are vital for the pollination of all sorts of flowers, vegetables, fruits. Honey as a medication is very important. It is something that a lot of people used to get a good living from. A. Quite a lot. 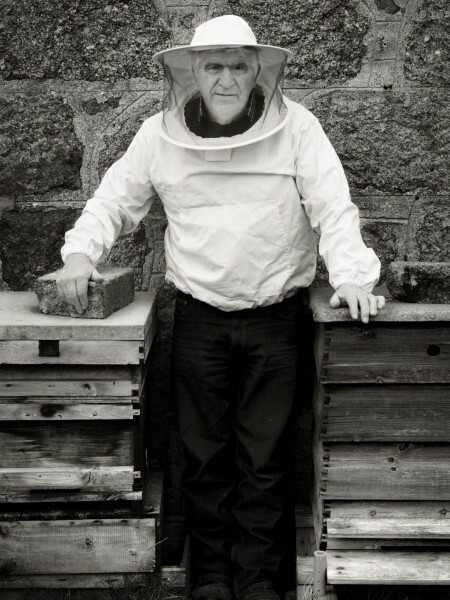 My style of beekeeping and people of my age group, it’s completely different from the modern beekeeper. 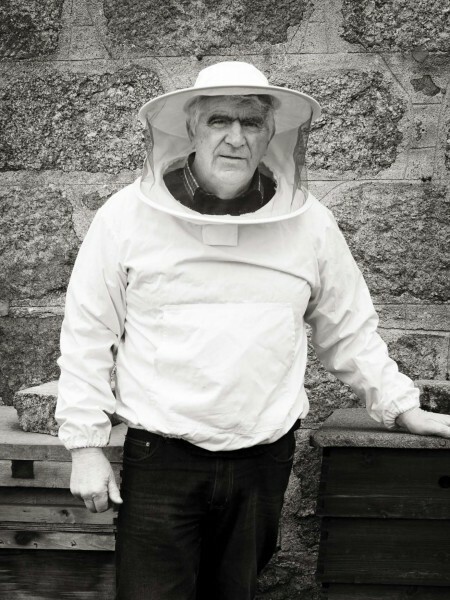 The modern beekeeper has learned from books or classes and they’re never out of the hive. We learned to let the bees look after themselves and that way they produce far more honey. A. Looks to be pretty bleak if things stay as we are. In the last 20 years we’ve lost 80 percent of the bees in the Dee Valley. If I was a young man again that’s what I would do, have hundreds of hives. Bees are vital. A. Ultra important. But people are not interested, they don’t need to keep bees for money. Q. How could that be achieved? A. 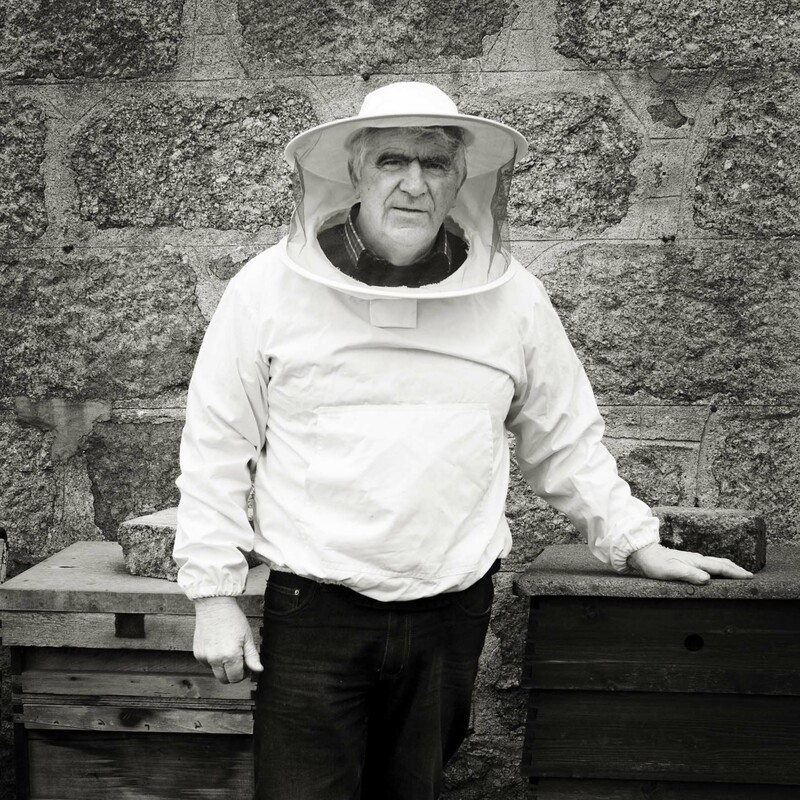 To have a bee keeping group in every village, like there is in Tarland. There are so few keepers now, it’s not handed down from father to son. A. Yes, if someone was keen I would train them. I’m one of the teachers at the bee keeping group in Tarland. A. Without a doubt. It is really important. A. It does actually. It is a nice environment working with bees. There is no pressure and I find it very relaxing. A. I love doing it. Weekends spent with the bees is very rewarding. There is no money in it. A. It’s quite good for supplies for bee equipment. Unfortunately there is only one main supplier in Scotland so the internet is useful. A. Ordering supplies, jars, etc. A. If education took it up to get it going again. There is no financial gain.